megha, 18 May 2014hell . .! !very less internal memory . what to do . .??? just help me out . . even it is not s... moreGo to mibile setting.. And restore factory.. U can get some internal memory... Move all the apps to memory card which is present in internal memory..
hell . .! !very less internal memory . what to do . .??? just help me out . . even it is not showing all of its contact . . ??? Samsung rex 60 is better than Nokia asha 305 in music,internet and games. 1.very very bad software i give one example recently i faced one problem,i open my calculator it shows application error..nokia what should i do tell me? 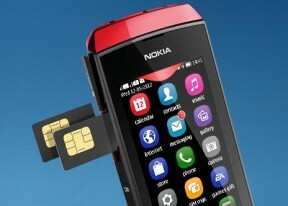 1.u will get opera mini in 400 kp funny nokia.